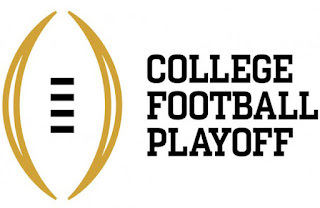 The last couple of years it seems like there has been controversy over the final #4 seed selected in the NCAA College Football Playoff. This year, 2018, there were 3 teams who had legitimate claims to be chosen as the 4th team: Oklahoma, Georgia, and Ohio State, with Oklahoma being the team selected by the selection committee. That was a good choice, as would have been Georgia or Ohio State. But doesn't that mean that all three of those teams deserved to be in the playoffs. 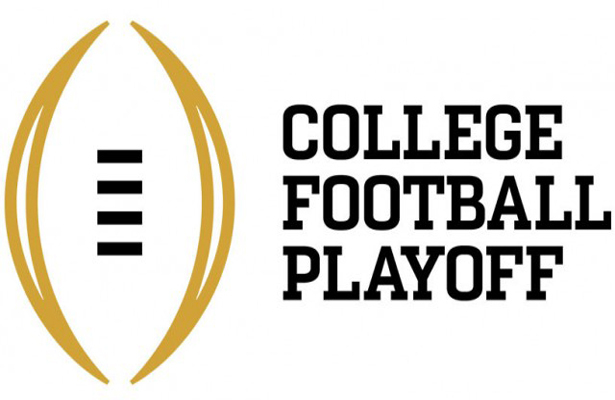 Because of that many college football fans would like to see the playoffs expanded to more teams. The instant reaction is to expand it to eight teams where you would just add another week to the playoff schedule. 1. It would water down the field too much where you could actually have one or two weak teams at the bottom. That is the beauty of not having too many teams, as the 4 playoff has now, as it ensures, for most seasons, only good teams with an actual chance to win the championship are in the playoffs. 2. It would possibly make for really bad match ups in the first round as you would have #1 playing #8 and #2 playing #7, with the strong possibilities of blowouts in those games. The great thing about the playoffs as they are now is how exciting they are. 3. It wouldn't be fair to the top 2 teams, after having gone through a grueling season and maybe a championship game in their conference, to have to play 3 games to win the championship. I do think the top one or two teams in the country should only have to play at most two games to win the championship. 4. It would almost completely take away all the suspense and interest in the college football playoff selection show. There has been real intrigue and anticipation, especially when it comes down to the last one or two teams, in the playoff selection show. If you have 8 teams, I don't think you will have people turning in, in droves to find out whose number eight. Okay. But if it comes to a time when there is a consensus that the field needs to be expanded and eight teams wouldn't be a good idea, what would work. My idea is a six team playoff. Yes, you may still get a few complaints from some teams that their team didn't get selected, for the most part you would have the top teams who would have a legitimate chance at winning the championship and at the same time [in my set up] the top 2 teams would still only have to win two games to win the championship, as it is now. 1. The top two seeded teams would get a bye in the first round. 2. Two weeks after the selection committee makes the announcement, team #6 would play at the home of team #3; and team #5 would play at the home of team #4. 3. Then you will have the same exact playoff situation as you do now with the number one seeded team playing the winner of number 4 and 5; and the number two seeded team playing the winner of 3 and 6 with the games taking place right around New Years Day [or before] in the major bowl sites determined. Then you would continue to have excitement in the bowl selection committee announcement as seeding would be critical to find out who has the number one and two seeds and the byes in the first round and also to find out who would have home field advantage for round one. It would be fair to the number five and six teams who may have been deserved to be in the playoffs, but would have missed out in today's four team set up. The top two teams would still only have to play two games to win the championship. And the four team semifinals could still take place close to New Years Day as it does now with the championship game one week after that.